Red and black clinch the top spots as the most popular exterior paint colors for the first global Mustang, according to initial consumer data. Mustang demand has been high, with the car reaching dealer lots in the United States late last year and China in early 2015. It’s set to go on sale in Europe midyear, with nearly 1.1 million pony cars configured on Ford’s European websites just a month after ordering banks opened. Passion for the car is universal, but trends are beginning to surface based on customer data that provide an early glimpse into regional similarities and differences among Mustang enthusiasts worldwide. In China and Europe, Race Red clinches the top spot for exterior paint color choice, with Absolute Black in a tie for first in Europe, according to configurator data. 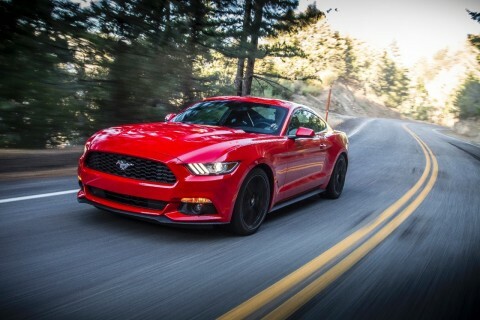 Nearly 35 percent of Mustang orders in China are for Race Red, while black is the No. 1 color in the United States. Fans around the world have been waiting 50 years to drive the iconic Ford Mustang. Now they’re getting their chance, and it’s noteworthy that universal passion for the car is underscored by the colors customers everywhere are choosing to dress it in. Ford Motor Company, a global automotive industry leader based in Dearborn, Michigan, manufactures or distributes automobiles across six continents. With about 187,000 employees and 62 plants worldwide, the company’s automotive brands include Ford and Lincoln. The company provides financial services through Ford Motor Credit Company. For more information regarding Ford and its products worldwide, please visit http://corporate.ford.com.